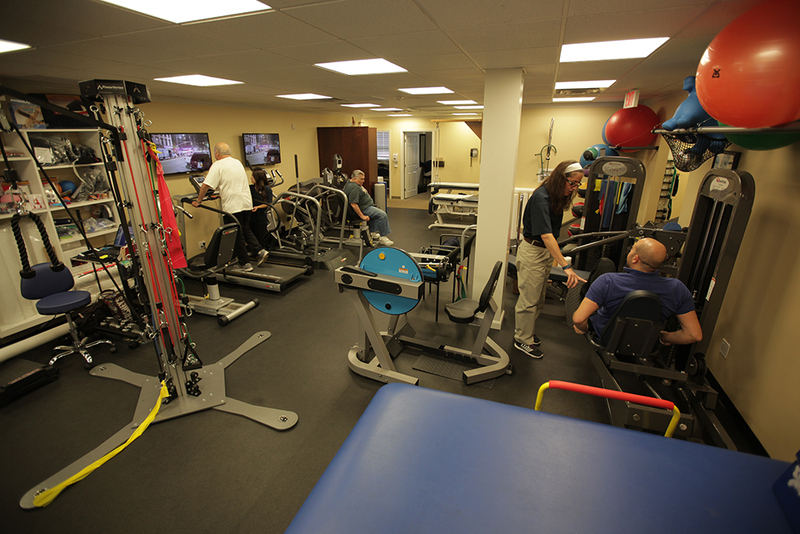 Scarsdale Physical Therapy specializes in adult and pediatric orthopedics and neurological rehabilitation. Founded in 1980, our tightly-knit team brings a wealth of clinical experience to patients treated in the practice, making Scarsdale Physical Therapy and Sports Rehabilitation Services the leading outpatient physical therapy practice in Westchester County. Scarsdale Physical Therapy and Sports Rehabilitation Services espouses the philosophy that each patient deserves the opportunity to be listened to and to be cared for as a complete individual. Our fully licensed physical therapy staff takes pride in providing advanced rehabilitation in a caring and nurturing environment. We emphasize an individualized approach for each patient’s needs. In essence, we become part of your medical team by communicating effectively on your behalf with the referring physician and others involved in your care. Our friendly office and billing staff are available to assist patients with your insurance issues. We feel that this personal attention is essential to assist with your return to work, to active participation in sports and to living a pain-free lifestyle. Our 2500-square-foot handicapped-accessible state-of-the-art facility includes a well-equipped gym as well as private treatment rooms. There is easy access to our street level entrance, and ample parking is available. Our office is equipped with cutting-edge therapeutic modalities and fitness equipment to complement our hands-on approach to patient care. We treat all types of orthopedic and neurological medical problems. We offer services for every age group from children to seniors, including Early Intervention programs for infants to three year olds.